PJ Ski and Avalanche Training - S.E.I. This six-day course will cover a variety of topics related to winter travel in mountainous terrain, as well as snowpack formation, avalanche mechanics, snowpack analysis, terrain evaluation, and avalanche hazard forecasting. 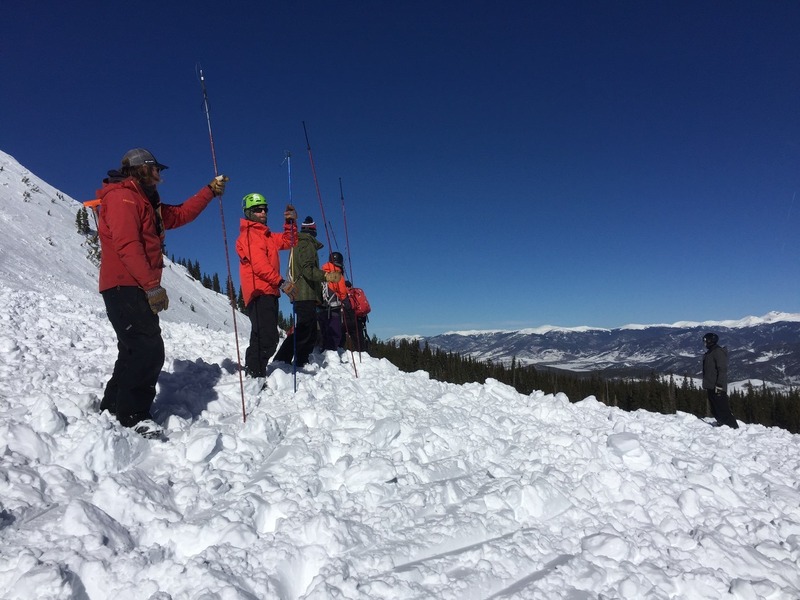 The goal of this course will be to enable participants to make accurate assessments of weather, snowpack, and terrain information to create a daily avalanche hazard forecast for a given location, or route, in the mountains. Participants will spend time honing their cold weather training, as well as movement in a snowy environment. In addition, participants will have the skill set to evacuate and care for patients in a cold environment. This six-day training will start with two full days of skiing at Jackson Hole Mountain Resort or Snow King Mountain. Following two days of skiing and ski instruction at the ski area, we will spend one day touring and refreshing movement skills on Teton Pass. This course is offered seasonally, please contact us to schedule your group.